Recliners can provide hours of comfort and relaxation, but with everyday use, food and drink spills, dirt and pet hair can build up on the upholstery. In addition to weekly vacuuming, upholstered recliners require deeper cleaning at least twice a year to remove embedded dirt and stains. Check the care manual or tag before beginning to determine the safest cleaning method for your recliner. 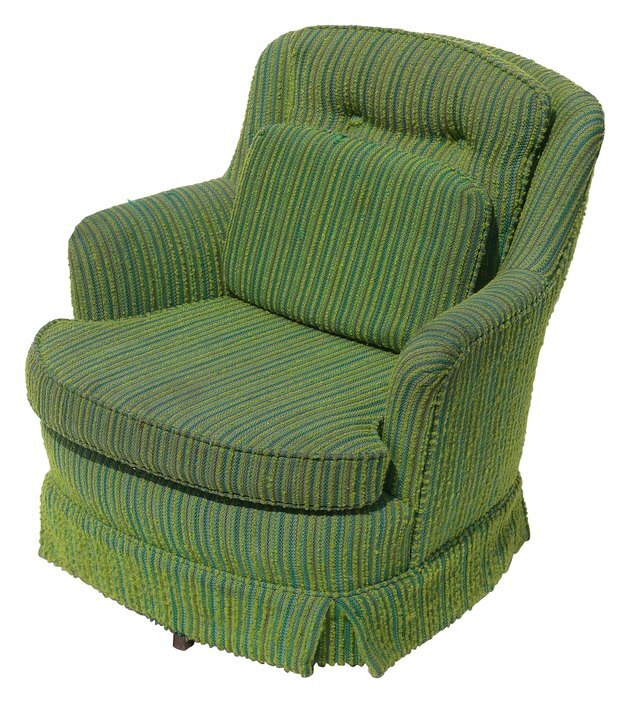 Clean your upholstered recliner on a regular basis to extend its life. Vacuum the recliner thoroughly with a soft brush attachment or hand vacuum. Fill a bucket with warm water, and add 1 to 2 tbsp. of mild laundry detergent or liquid soap. Dip a cloth into the bucket, and wring it out. Wipe the upholstery thoroughly with the cloth, and scrub any spots or stains with a soft-bristled brush. Rinse the cloth with water, and wipe over the upholstery to remove any soap residue. Press a light-colored towel to the recliner to absorb any excess water. Allow the recliner to air-dry completely before using it. Spray a solvent-based upholstery cleaner onto the recliner in an even layer. Allow the cleaner to sit for the amount of time recommended by the manufacturer. Scrub the recliner with a stiff-bristled brush to remove any embedded dirt or stains. Wipe away any excess cleaner with a damp cloth. Press a light-colored towel to the upholstery to absorb any excess water. Allow the recliner to air-dry completely before using. What Is a High Leg Recliner?